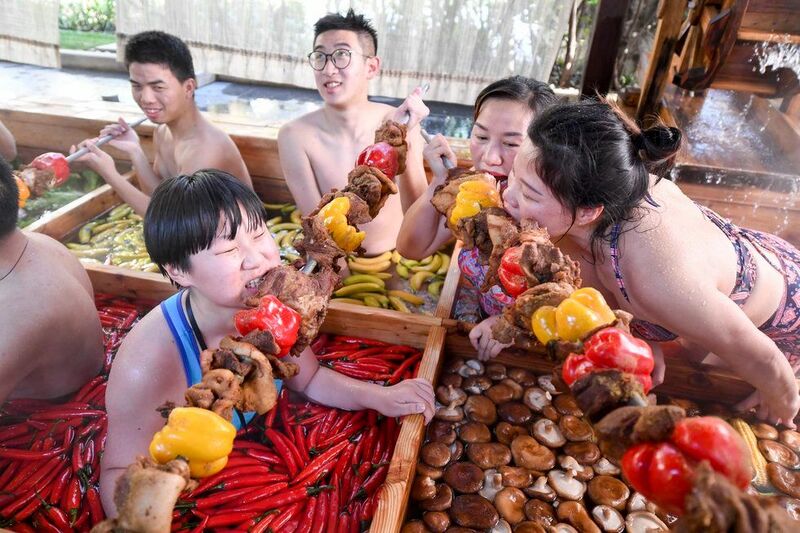 The joy of a hot pot meal, now with that added "human" flavor. No we're not talking about cannibalism. At least, we're pretty sure we're not. 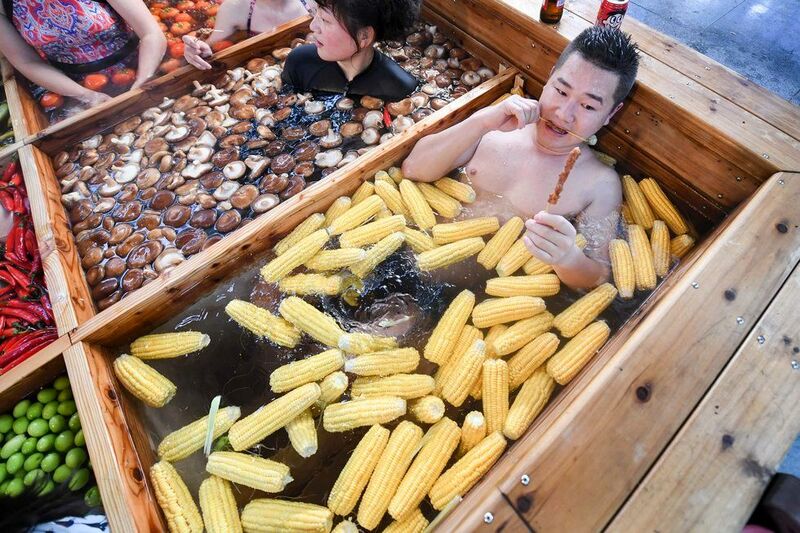 As part of the celebrations for the Lunar New Year, a hotel in China's Zhejiang province has re-purposed one of its hot springs into a giant hot pot. Hangzhou's First World Hotel developed the tourist attraction for the new year celebrations starting next week. Much like some hot pots, this one has dividers, separating the different foods being cooked. 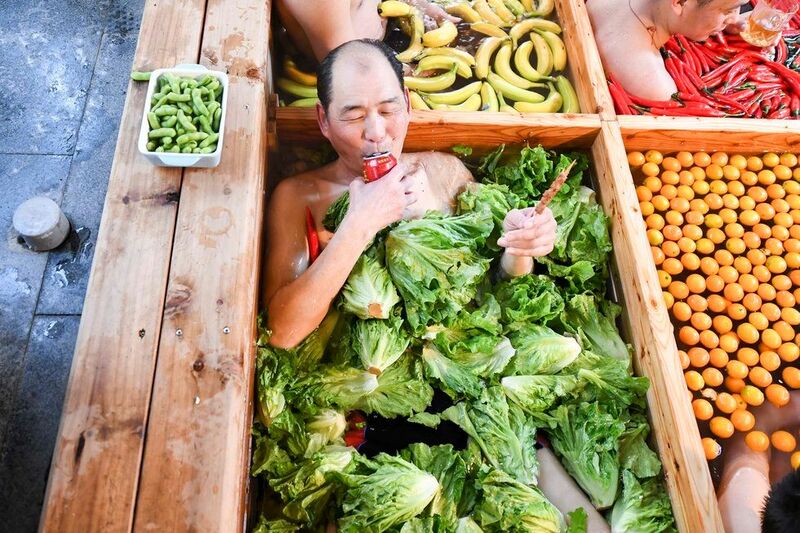 Unlike any other hot pot, this giant hot spring is big enough for a person to jump in and swim with their food. And people are actually doing it. Admittedly, you aren't meant to eat the food floating around with you, thank goodness. 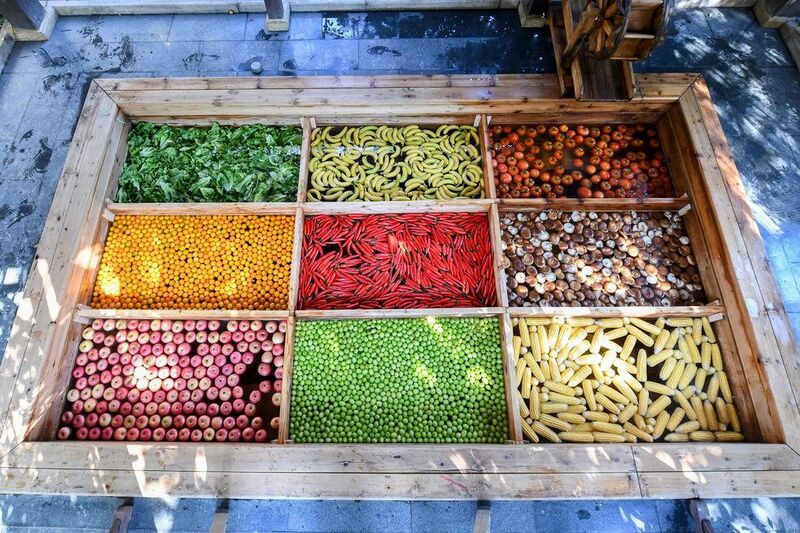 Instead, giant skewers of cooked meats and peppers lay across the compartments for divers to snack on together. 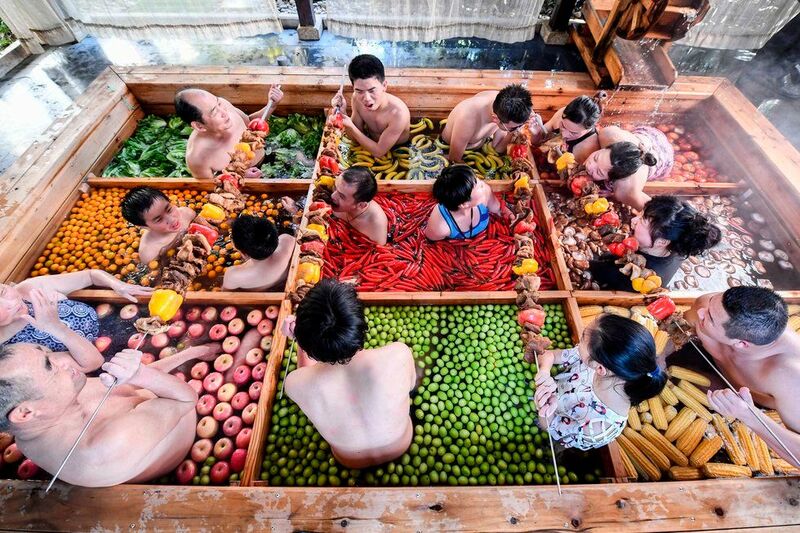 The giant hot pot was an idea to promote a healthy lifestyle for the new year. 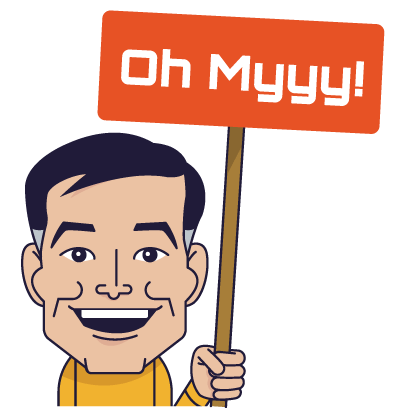 Though, with this year being The Year of the Pig, westerners might get the wrong idea from all the food. Hot pots are eaten with friends or family, with the big pot in the center of simmering water or broth cooking the meats, vegetables and noodles. It's believed this communal eating and warm air surrounding the pot engenders a natural closeness. While hot pots aren't something the city of Hangzhou is known for, they are famous for their natural hot springs. It's proximity to Shanghai makes it a popular weekend destination as well. Luckily, most understand the fun of this attraction, even if others... don't. The country is doing its best to prepare for the upcoming celebrations. Chinese rails have put more trains in motion to accommodate the increased travel, while temples fill with worshipers and tributes.